Availability: Out of stock. Estimated to ship in 6-8 weeks..
Divinity has its advantages, and as such, Valkyries were not typically worried about suffering any harm, especially not by mortal hands. 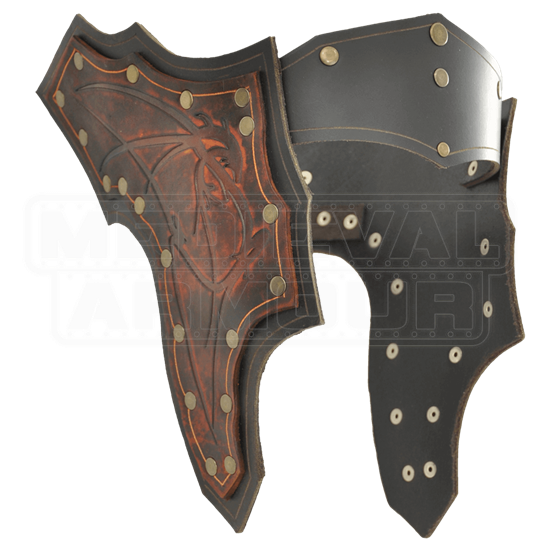 Instead of helmets, Valkyries typically preferred ornate protectors like this elegant leather Valkyries Tiara. Unfortunately, mortals who wear this tiara are not immune to harm like a Valkyrie is, although they might share in some of the battle maidens beauty while they wear it. This helmet-like display consists of a black leather headband that keeps the tiara situated properly on the head. Each side of the tiara is worthy of Norse legend, featuring riveted brown plates of leather that feature engraved knotwork dragon designs. 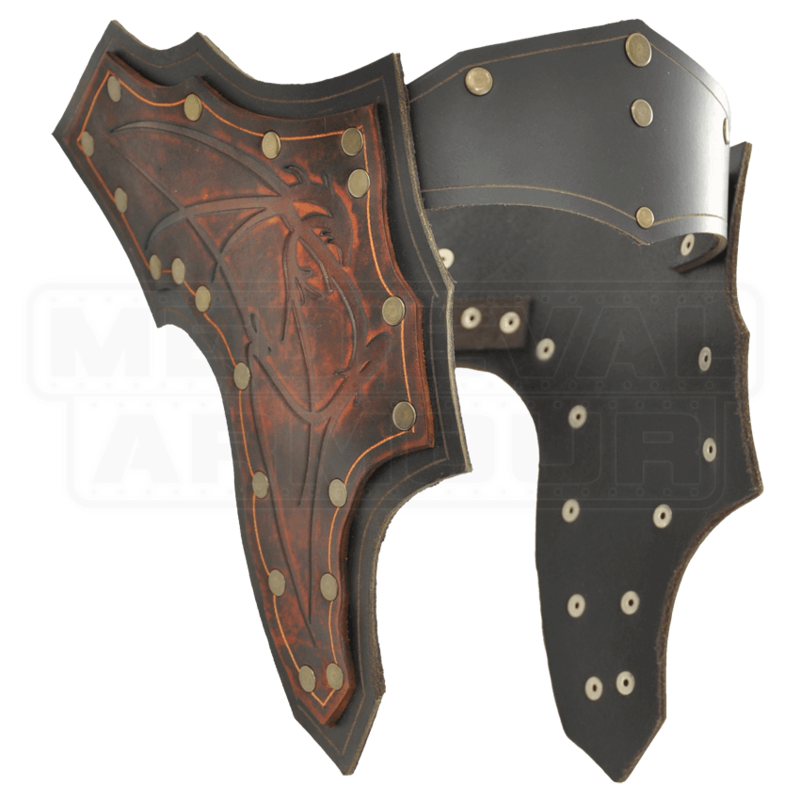 This crown is made from high quality leather and is available in one stunning color, which possesses rich hues of brown and black. You will feel like a real maiden of battle when you wear this, and you should not be surprised if Norse warriors you know start to fear you when you wear this Valkyries Tiara.